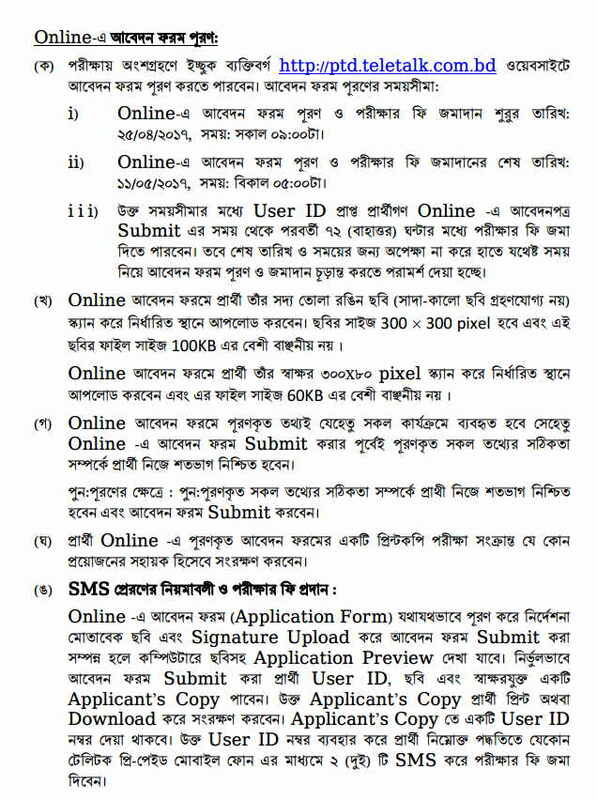 Posts and Telecommunications Division published New job Vacancy ,application process, PTD exam Date at ptd.teletalk.com.bd official website.PTD Application already started and You can apply PTD from there website or visiting ejobscircular.com . Don`t forget reload there website for Application time. 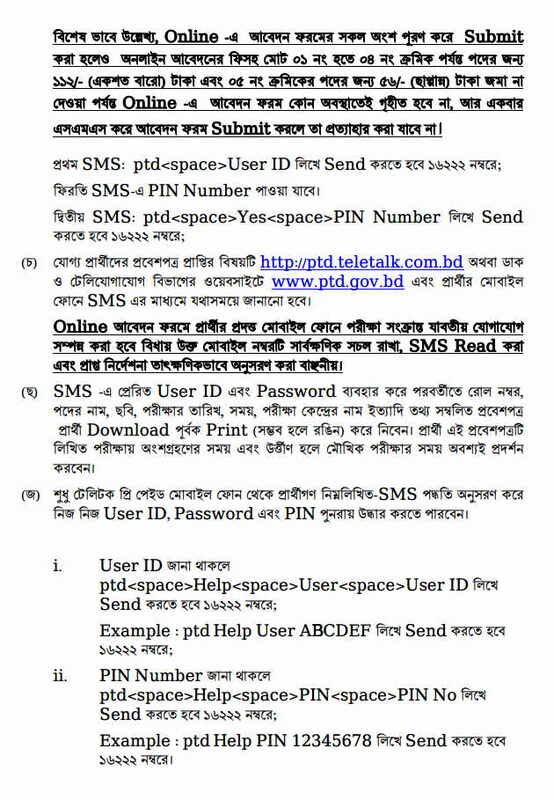 ptd.teletalk.com.bd online Application Deadline changed ! This Notice found there official website.PTD Online Application Last Date 11 May 2017. Many People Search ptd.teletalk.com.bd job application form in google. Now EBEK teletalk website address available here. Application process for Posts and Telecommunications Division in 2017 shown below this web address. PTD Teletalk official website for apply ptd job vacancy in March 2017. After Complete the Online Application you need to Complete the Payment 100 Taka for 1 to 4 Position and 50 Taka for No. 5 Position. To Pay the application Fees by Teletalk Follow the Instruction below. PTD<space>User ID and Send to 16222. After Received the PIN Number Prepare the Second SMS like that. exam center information by Teletalk mobile SMS . Here You can Download PTD Seat Plan Full as a PDF file. Posts and Telecommunications Authority will not pay anything for interview. Written exam passed candidates only able to sit for viva voce. PTD application Exam will be held by English, Bangla, Mathematics and General Knowledge. Besides you may find details on the advertisement or www ptd gov bd. If you forget your User or Password Call there help line from any Mobile. Or Send email to [email protected] . For more updates about PTD Job circular Keep visit this website.Thanks for Stay with us. Previous Finally, the age limit for government service increasing ! !